So as well as making things most of my time this week has been taken up with doing up the house. My guest wing is almost unrecognisable, I'm so pleased with it! This thing ticks both house and craft boxes. A quilted craft mat! 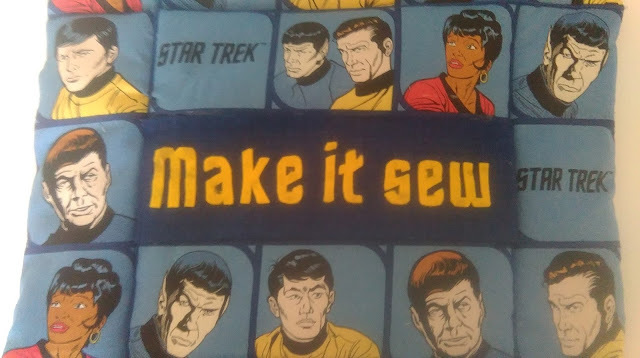 Yes, I know I know, the mixing of TNG and TOS bothered me a little as well, but I wanted to make this and TOS fabric was all I had on hand. I think I will come to terms with it over time. 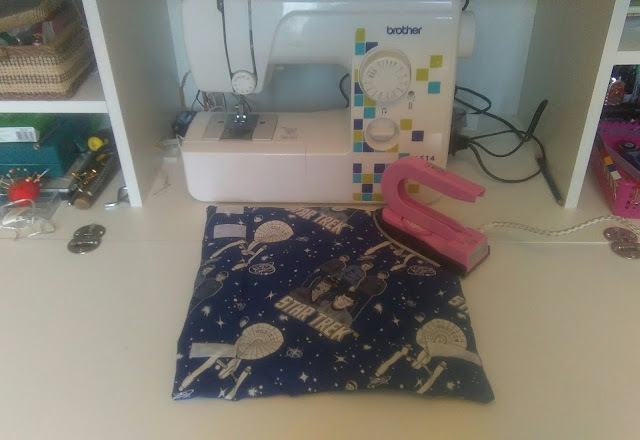 If you flip it over it can be used as a heat resistant mat for my adorable little craft iron. And when not in use just velcro on your lovely new craft cabinet. 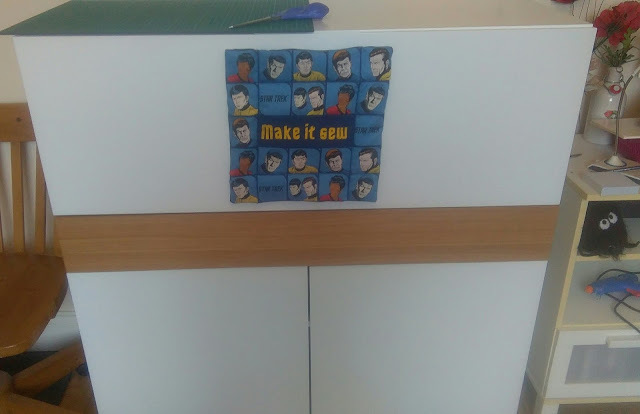 Honestly I can not say how much I love my new craft cabinet. I'm never leaving the guest wing again! Eagle eyed among you may notice it isn't a true square, that's because I followed the lines and they slant a little to give that authentic 70s look.